Newcomer Lily Newmark shines in this quirky, small-town drama about bullying. Small-minded, smalltown Britain is the setting for Deborah Haywood’s impressive debut feature, which successfully balances fairytale whimsy with dark realism. 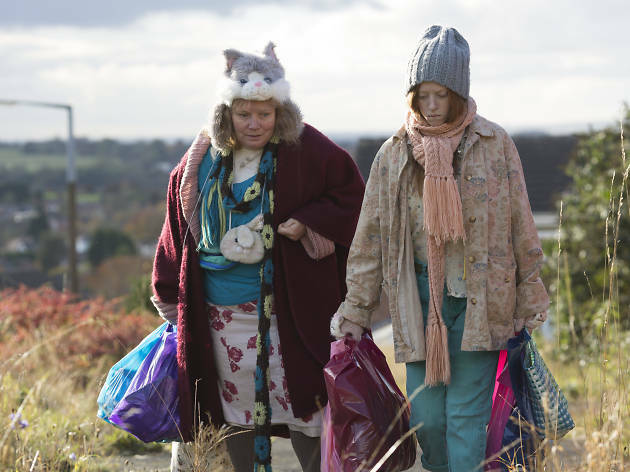 Teenaged Iona (striking newcomer Lily Newmark) moves to a new area with her single mother Lyn (Joanna Scanlan), an eccentric, kind woman who’s mocked by local kids for her hunchback – and worse is to come. Haywood and cinematographer Nicola Daley contrast the realities of spiteful suburbia with Iona’s candy-coloured fantasies and the chintzy home she shares with her mother. While the mother and daughter are adorably, if slightly unnervingly, close to each other, Iona is keen to fit in at her new school and a distance forms between them. What begins as a family portrait moves into the high school movie genre: the popular girls bring Iona into their clique and manipulation and humiliation seem inevitable. While it’s sweet and funny in places, ‘Pin Cushion’ is heartbreaking in others. Iona endures crude sexual taunts that feel like they come from a very real place, while Lyn delivers several crushing monologues, including the confession that she courted assault in order to get pregnant and have a child to love. This is as much a portrait of an excluded adult as it is of an unpopular teen; it’s not always an easy watch but it’s a sensitive, assured film with characters you’ll warm to and root for. Loved this film. Brace yourself with sympathy and enjoy getting to know the quirky, loveable and not so loveable characters. Made me feel all the feels and was so great to see so many complex female characters. Often you don’t get one in a film, here there are many to choose from!